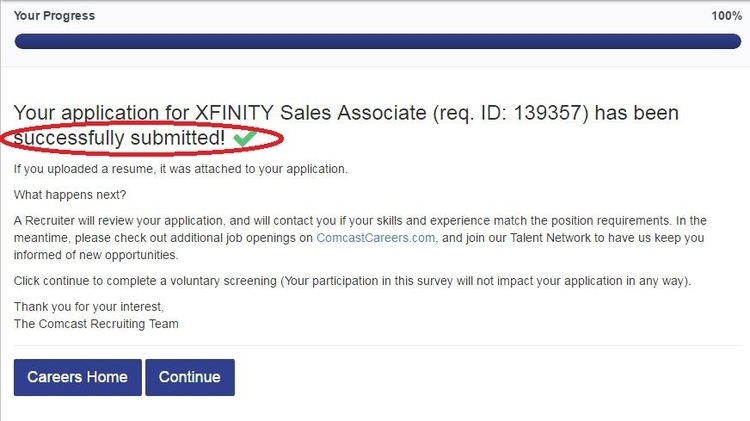 Visit jobs.comcast.com or comcast.com/careers and begin to search for the job you expect to get in Comcast. 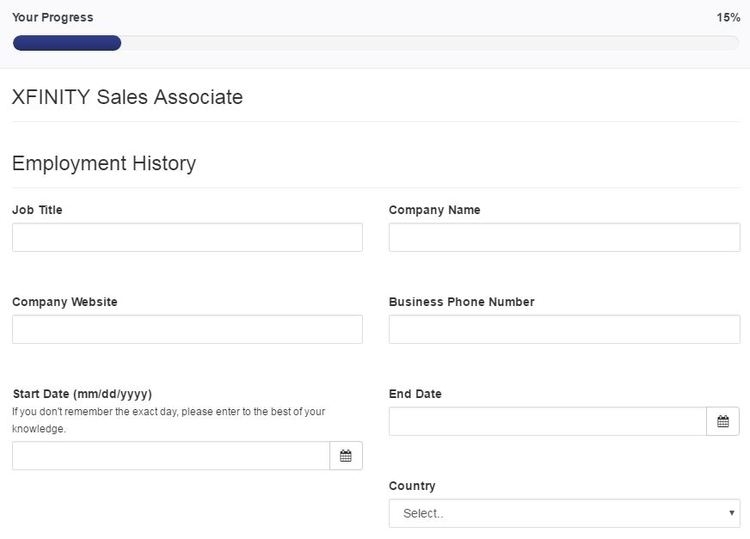 Search by entering keywords, job ID, or locations. You can scroll your mouse to browse all the openings. 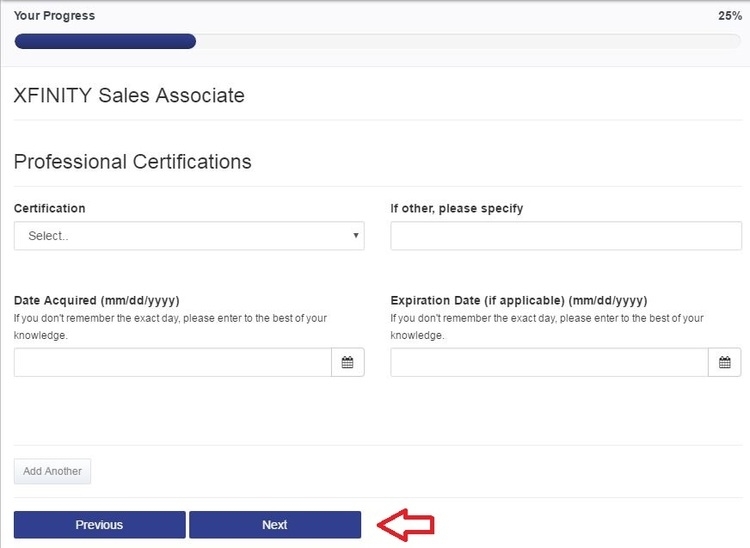 Certain job openings will be shown in the new page according to the keywords you've entered, among which you can choose your desired one at a nearby location. 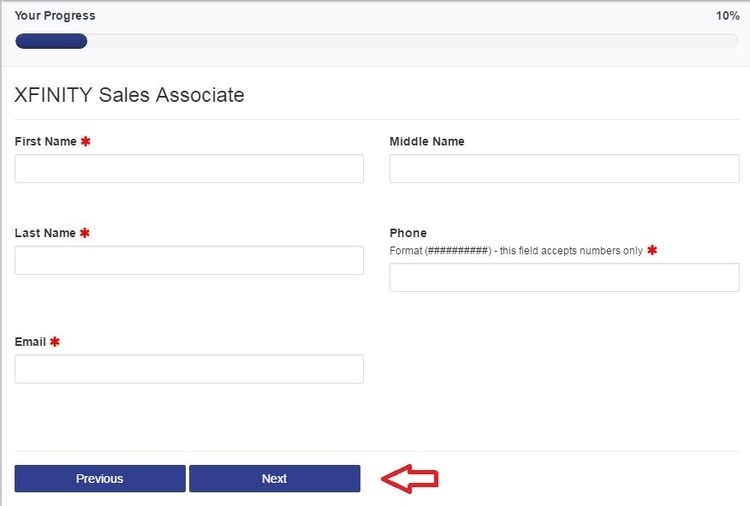 Relevant information about the job you've chosen will displayed in this step. 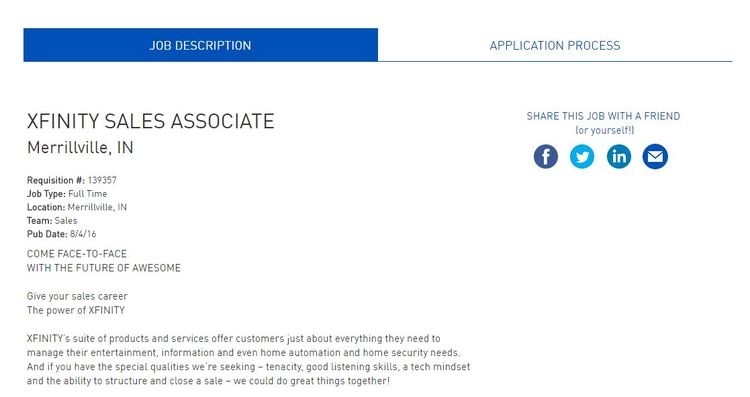 Read it carefully, scroll down your mouse to the bottom and click the “Apply” button to start your online job application. 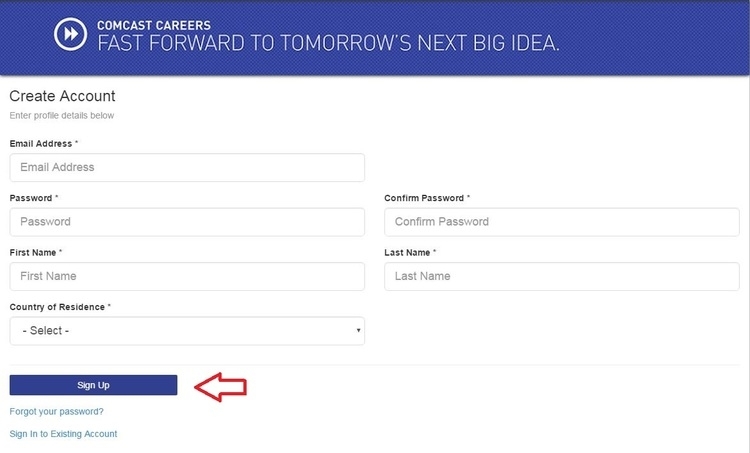 You will be required to log in with your email address and password before you start your online application. See next step how to sign up if you don't have a Comcast account. 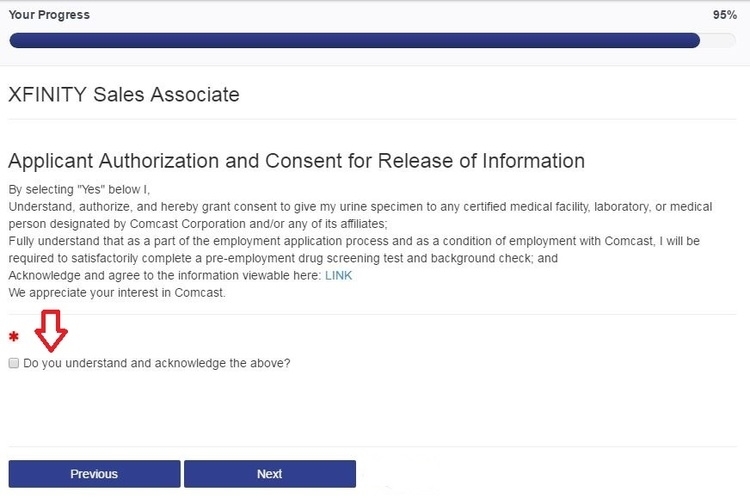 First, accept the data privacy statement, and then enter your email address, your name and select your country of residence to create a Comcast account and sign up. You will then be asked to upload your resume to better prove your qualifications to the job you've chosen. Or you can choose to skip this step. Enter your name, phone number and email to get contacted. Click "Next" to move on. 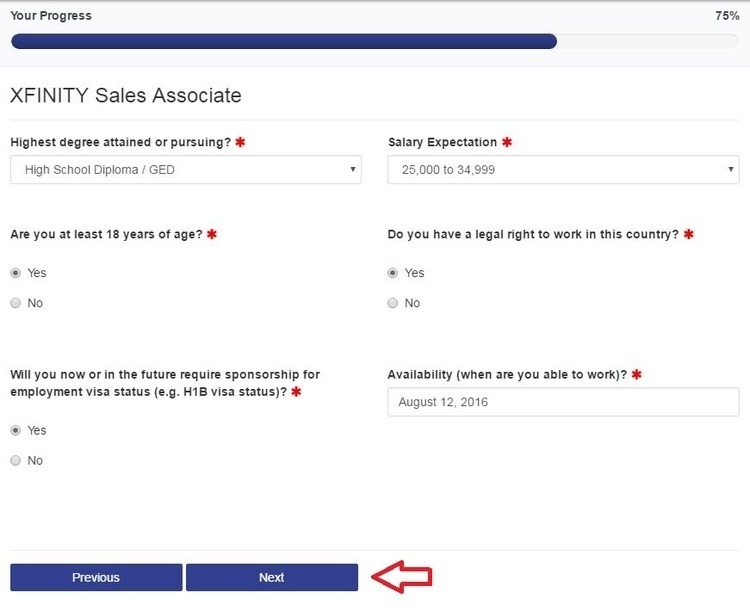 Tell specifically about your employment history and education background to let employers get to know you better before deciding whether or not you are eligible for the position. Select your professional certification type and your language. You need to select the proficiency degree of speaking, reading and writing of the language. Confirm your willingness to travel, and then you shall provide your career goals and more information including your home address, country, city and zip code and how you hear about the position. You are free to choose whether or not to identify your gender, race, self-identification and disability. Then you need to spend a few minutes to finish the Veteran Groups Survey, and Military Service History Survey. Select your highest degree attained, your salary expectation and answer a few questions. Agree to the statement to indicate that you understand and acknowledge what the statement is about. You have successfully completed the online application by agreeing to the statement in last step. 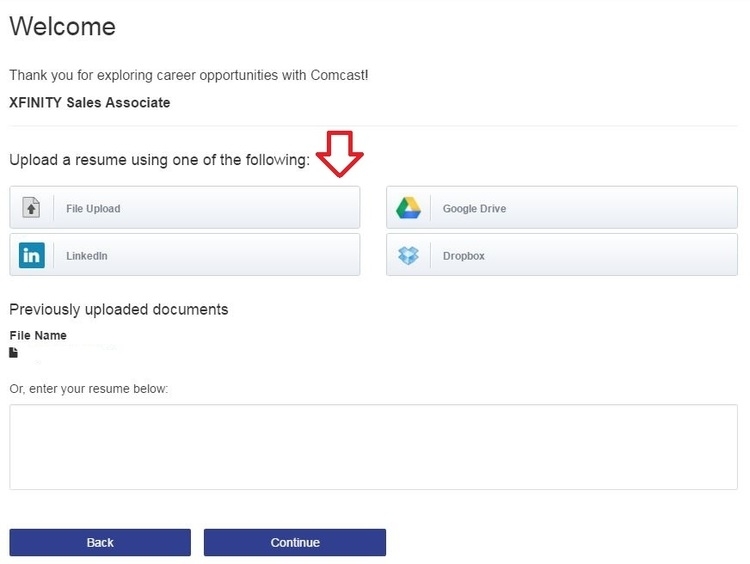 Click comcast.com/jobs to apply for Comcast jobs online.